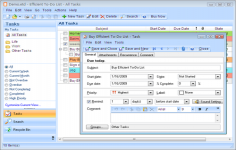 ToDoList is an essential tool for those who wish not to miss anything helping for a better time and project management. TODOList wants to be a simple management solution, free, functional and based on an open file format. The author has also designed for lack of a similar tool that meets their needs. 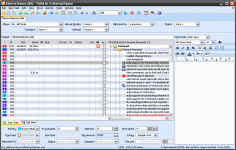 The software interface is simple and can be mastered very quickly and simply add the tasks and sub-tasks in your project, which you can assign multiple parameters: priority, risk, completion percentage, date of maturity allocation ... Tasks can also be connected together, a task can be marked as completed once the other task performed. Another significant detail: the time spent on each task can be timed directly from the software. Another significant detail: the time spent on each task can be timed directly from the software. For a complete organization, you can add attachments with your own comments. Furthermore, it sets the repetition of certain tasks daily, weekly, monthly, etc. 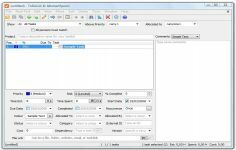 ToDoList requires no installation, the information being entered in the registry or in an INI file.With Efficient ToDoList, management of tasks and time becomes very easy and is done in a very practical way. Curently we don't have any log information about ToDoList version 7.2.11.0 Organizer Software for PC Windows. We will this change log update soon!